Well, came back after quite a long time with a simple yet very helpful tip. First of all I would like to thank all those visitors who came here regularly for some entertainments or any informative things to learn. Actually I was quite upset about the performance of this wesite because although I try my best to put as much useful tips as possible but still it doesn't get much views, and on the other hand people are getting millions of views in a day or in few days just by misleading people and making fake videos. Anyway I've found this tip by mistake. 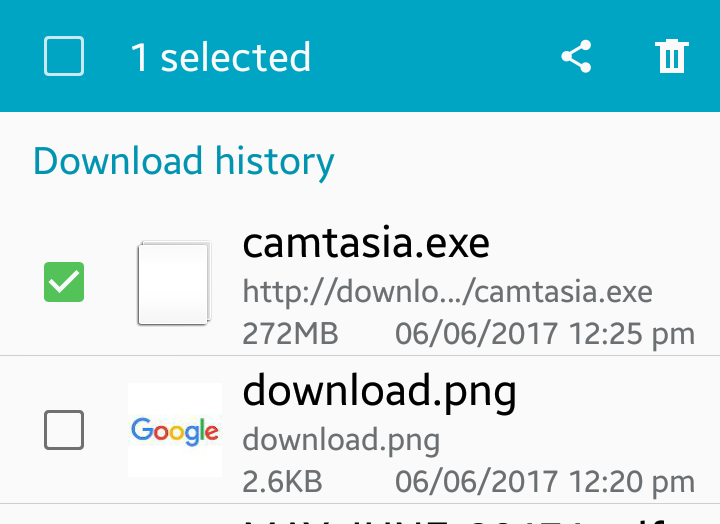 I was just opened a page and it automatically started downloading this huge file which I didn't wanted to download with phone. So I started stopping it by clicking on the download manager, but didn't find any option for that. Then thought let me just turn the phone off and it will be fine, but unfortunately that didn't work either. And then did the steps below. Stopped the mobile data connection. So that it does waste my data just for nothing. 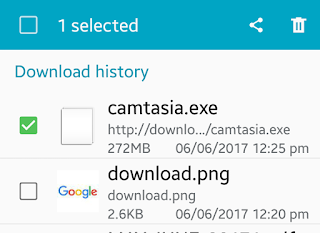 Then clicked " Download hostory". Then selected the file which I wanted to stop downloading. And then hit the Delete. That's it problem solved! And saved about 200+mb of my mobile data.